Things are falling into place for Game 163. The Dodgers will clinch the Western Division on Monday. This is my prediction. 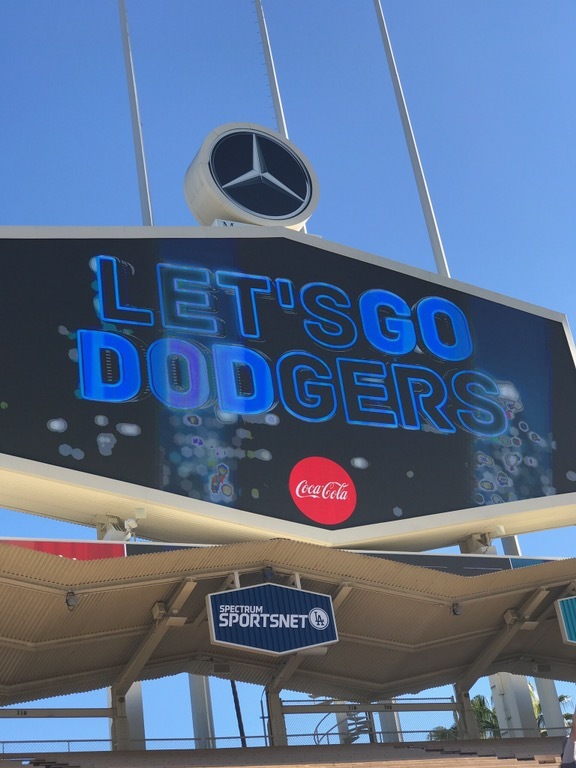 It’s a day game and Dodgers do well on day games. When everyone else is sweating and complaining about the heat, they thrive. Walker Buehler will be the SP. He is a rookie but already has nerves of steel. This could be because he played baseball at Vanderbilt and knows what it’s like to be under pressure. He didn’t languish long in the minors. He has the poise of a well seasoned pitcher. I was off work on Sunday night so I’m well rested. I don’t have to be at work until 7:30pm so I don’t have to rush home. I can watch the celebration after the game when they clinch. That sure worked out well. Everyone questioned Roberts’ decision to have Rich Hill start on Sunday. Rich is a veteran and has been pitching well. I had every confidence in him. I was especially happy that he showed all the doubters that he is a contender. So now the Dodgers are playing for the title. Thank you Rich. The Dodgers gave the Giants their final punch out with a 15-0 victory. Dodgers had 16 hits, 15 runs. Giants had 2 hits, no runs. The Rockies had a similar victory over the Nationals with a score of 12-0. Dodgers have a 3 game winning streak after sweeping the Giants. And by the way, Austin hit a homerun during the game. That’s the 2nd homerun in a week. Way to go Barnesy!!! I’m hoping that my prediction comes true. Monday is the tie breaker game. Who would have believed at the beginning of the season that the Dodgers might actually win the Western Division. If they happen to lose the tie breaker game, there is still the Wild Card race. The Cubs and Brewers will also be playing for the Central Division title. It’s definitely a “wild” race this year. It’s exciting to the very end for these 4 teams. I had printed this ticket last week just in case. Definitely a ticket to keep as a souvenir. I’ll be writing about the Dodgers victory and their celebration in a couple of days so stay tuned. Thanks for stopping by. GO DODGERS!!! Thank you Cat! Go Dodgers⚾️💙!